Constipation is the difficulty to pass stool regularly or with a major effort than usual. Stools become hard and dry, and it is difficult to evacuate. It is an increasingly common problem in today's population because many of the causes are hidden in our lifestyle. Some medications can cause constipation but certainly one of the main causes is the lifestyle or diet, not eating enough fiber, not going to the bathroom to evacuate when is needed, not drinking enough water or not make enough exercise. Abnormal bowel movements can cause minor consequences but quite annoying as sensation of heaviness, headaches, abdominal bloating, flatulence and even hemorrhoids. Fiber allows adequate stool consistency, which can exert enough pressure on the intestinal wall causing the need to go to the toilet to have a bowel movement. Whole grain carbohydrates are usually high in fiber. Fruits also are high in fiber; we will talk about this in more detail below. 6 to 8 glasses of water a day will be sufficient in order to hydrate the feces and will be expelled easily. Also, you include high-water-content meals. Probiotics stimulate the intestinal flora favoring the intestinal transit. Yogurts are usually the foods that contain probiotics. Exercise is the best remedy recommended for all the diseases. Walking, swimming or doing any physical activity at least 30 minutes daily and 3 times per week will help you to stimulate your intestinal transit. Could sound contradictory but in some cases constipation occur because people often ignore the urge to go to the toilet. So, you must not ignore for long periods the need to go to the bathroom. The intestines can be trained and that can be achieved by creating a routine to evacuate at the same time every day, for most people it is the first thing in the morning or before go to sleep. Now, we will talk about the diuretic fruits. Most of the fruits help to relieve constipation. Ideally, it consumes with their peel because there is where the highest amount of fiber could be found and the peel helps to carry the residues that may remain on the walls of the intestines. It has high fiber content. It helps to improve bowel work thanks to an enzyme called actinidin (which also favors the digestion process and reduces the production of gases). It is recommended to eat on an empty stomach or at breakfast. Some people do not like the kiwi taste; if you are one of them this fruit can be mixed with orange juice which also is a great fruit to avoid constipation. 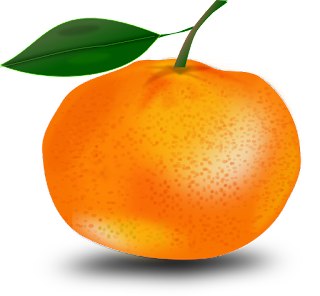 Citric acid, contained in this, fruit works as an excellent natural remedy to dissolve residues that have been accumulated in the intestine. 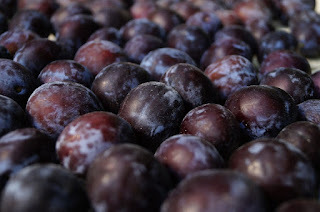 Dried or fresh plums are an excellent source of soluble and insoluble fiber. It also protects the mucous membranes and stimulates the work of the colon. It has high fiber content. It contains pectin, a substance that regulates bowel movements and makes a body cleanse. - Red fruits (strawberries, blackberries, blueberries, cherries). They improve the intestinal transit and the digestion. These are some important factors discussed here about constipation and food that helps to relieve constipation or fix constipation. feel free to ask any question.